So I came to a realization the other day – I have never used our waffle maker. It’s been almost 3 years since we received it from our wedding registry, and it hasn’t been touched once (I apologize to you if you are reading this and was the one to give it to us). In all accounts, we should have. I have expressed many times that brunch is my favorite meal to both cook and eat. However, in a small apartment kitchen, sometimes things get tucked away and forgotten about. I rediscovered our waffle maker just last week tucked almost beyond my reach in the pantry and decided it was time! 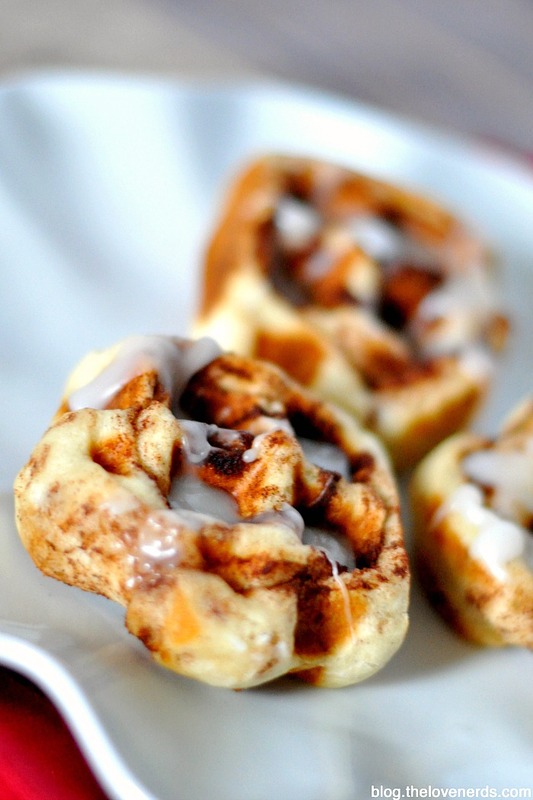 I woke up a little early on Sunday morning and made these Cinnamon Roll Waffles for my husband! This waffle trick is not new by any means. I have seen them floating around on Pinterest a few different times over the years, but never thought to much about it (probably because my waffle was in hiding). Sunday morning I just decided to wing it. 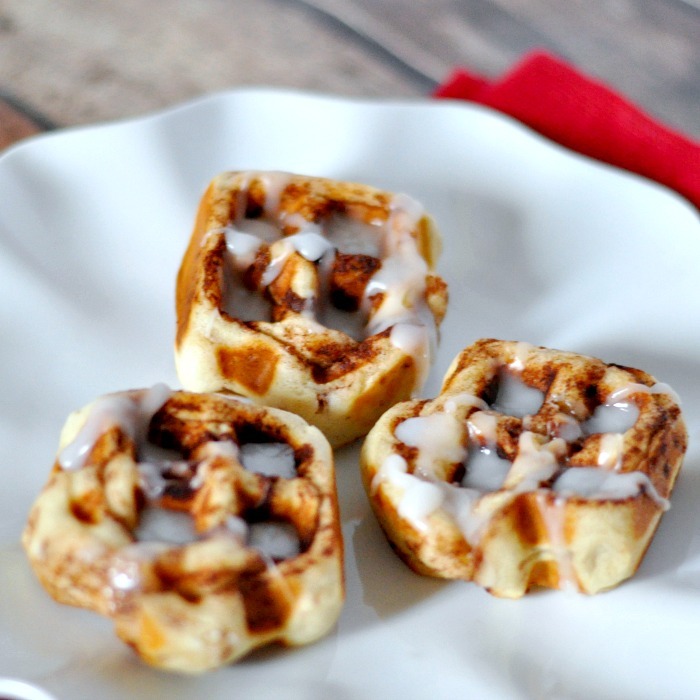 I pulled out the waffle maker, plugged it in, sprayed it with cooking spray and plopped in the cinnamon rolls. Easy! Taste wise, they are not very different. The texture was fabulous though. 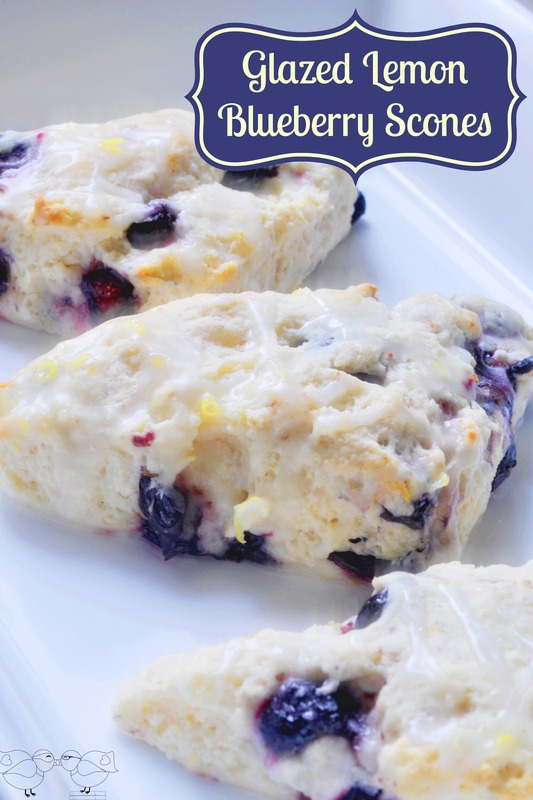 The edges get a wonderfully crisp while the middle is still soft and a little gooey. This new form made them feel more special for not a lot more work! In fact, I think they cooked faster in the waffle iron than the oven. This might become my preferred method in the summer so I don’t have to turn the oven on and on special occasions for something fun and unique! 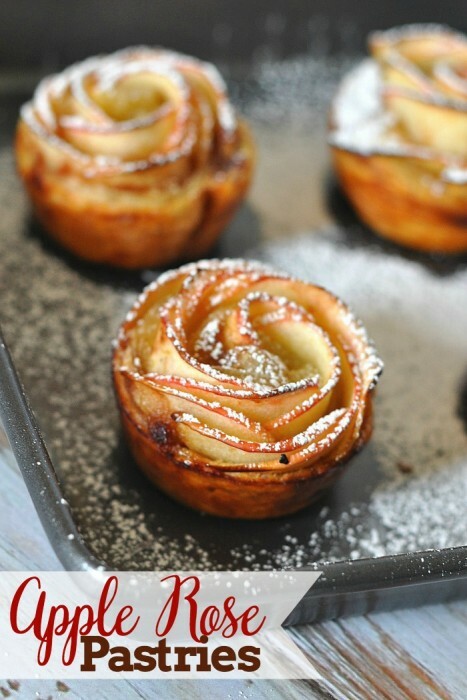 In fact, this would make such an easy Valentine’s Day breakfast! 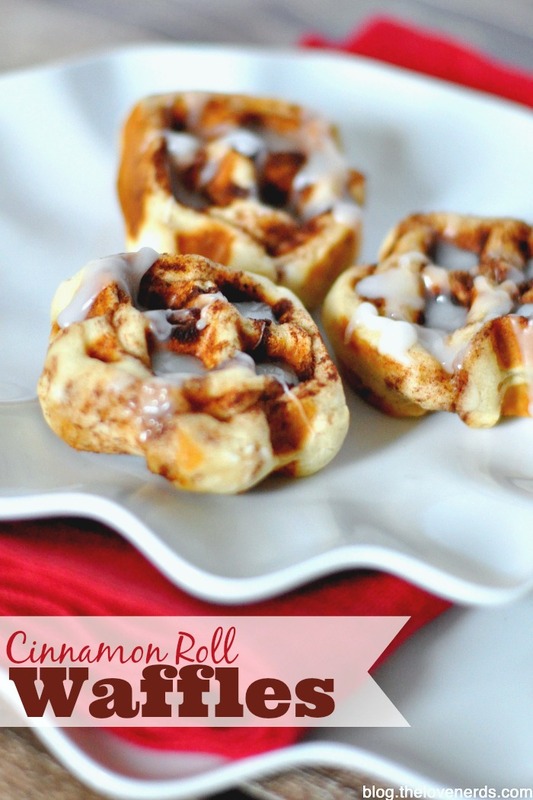 I’m sure your partner or kids would love the unique twist on cinnamon rolls and you wouldn’t have to spend a lot of time in the kitchen cooking! 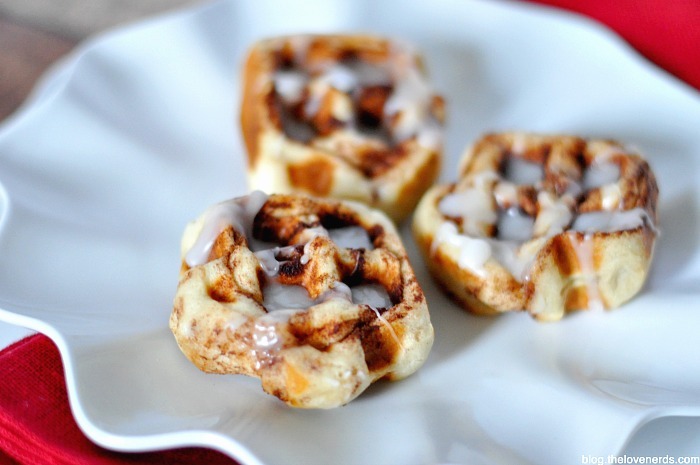 Cinnamon Roll Waffles - An easy and special twist on a regular can of cinnamon rolls - crisp on the outside with a soft, gooey middle! Plug in and heat your waffle maker. Cook for as long as your waffle maker requires. Mine is a dial from Min to Max and I cooked them about ⅓ way past Min. I suggest heating the icing in a microwave safe bowl to make it a thinner drizzle for the waffles. 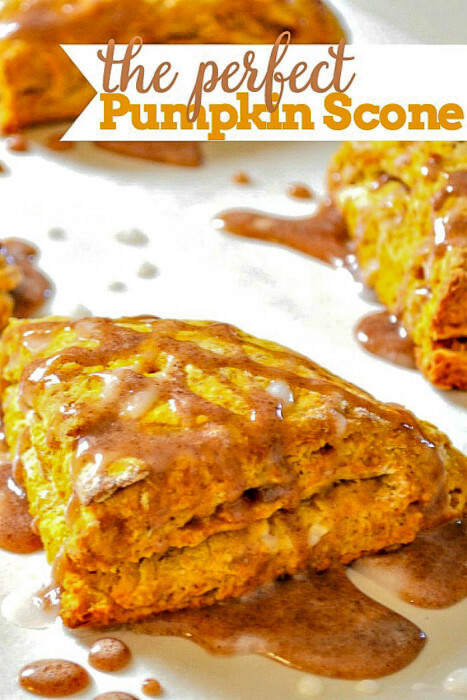 If you like this recipe, you might also enjoy my other breakfast recipes! You should definitely try hashbrowns in the waffle maker as well. My husband has done both the shredded uncooked kind as well as using tator tots. They come out in perfect little crispy portions and are delicious! Yum-olla! Thanks for sharing. These sound de-lish!